Below are my top fantastic-five feature picks in Lightning Experience from the latest Spring ‘18 release. It’s your brand…show them your colours! Choose one of the Salesforce’s built-in themes or create your own with just a few clicks. Are you wasting time clicking around and updating records with the same information over and over again? Say goodbye to those boring days! Use Macros to update most standard and custom object records in all Lightning Apps. Below is a macro setup example to work with Accounts. Create beautiful, easy-to-use forms for collecting feedback and data from your users or customers. Add questions you like to gather the data you need! Have a unique way to work? Cool! Personalise an app’s navigation bar your way! Reorder items and add or remove them. Even better, add a handy dashboard, list or a record. Good clean data builds the trust of your sales team. It also helps you work toward complying with various data protection and privacy regulations. So you’ve got everything to gain by getting a global view of duplicate records. 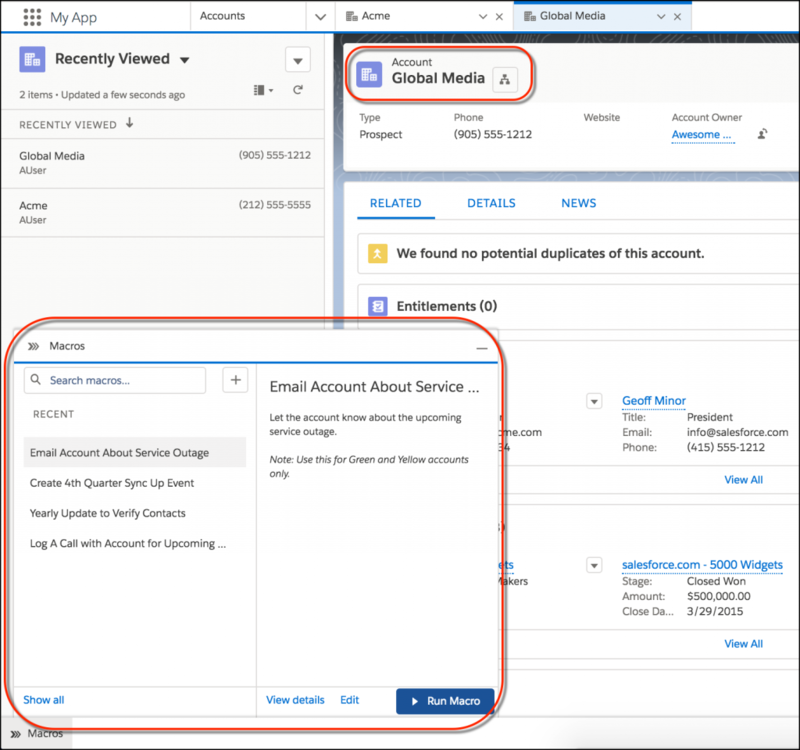 Use duplicate jobs with standard or custom matching rules to scan your Salesforce business or person accounts, contacts, or leads for duplicates. Share job results with others and merge the duplicates—all within Salesforce. Use information about duplicate jobs you’ve run to track your progress in reducing duplicate records. This feature is only available in Performance and Unlimited Editions.